It’s a very bad habit I’ve developed. I’m not even very good at it, and return things often. I can’t help myself though…all the pretty shoes are calling me. Tonight a pair of boots from 6pm.com, by 80%20 shoes. The red was so nice, the color’s called ‘wine.’ 80%20 is also a really fun brand, can’t wait to see them. Hunting for summer shoes still….grrr. There’s a whole Bermuda triangle of shopping around w 4st st. From west to L’Occitane across the park to Irregular Choice shoes, a girl could get lost for days. My latest, favorite restaurant is over there too, Red Bamboo, so very good. 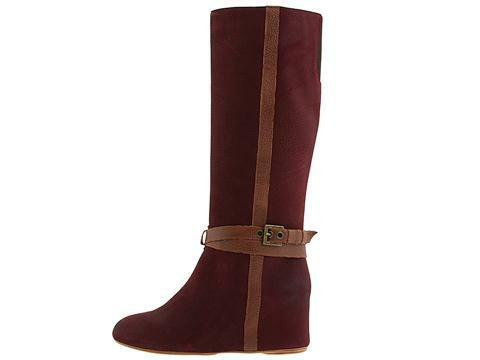 Looking forward to summertime in the city…if the boots work out Spring will be a little rosier as well.